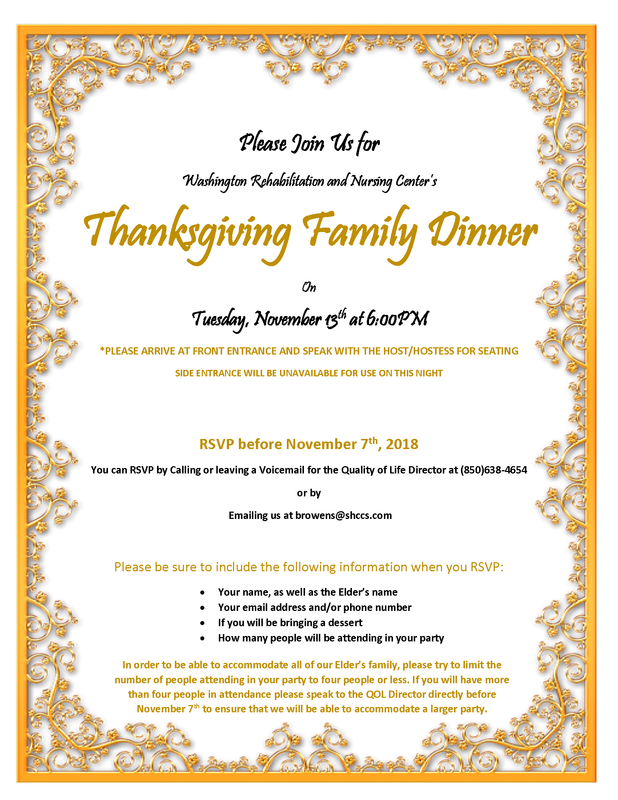 Join us for Thanksgiving Family Night! 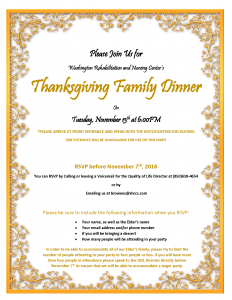 We are so excited to announce that we will be hosting our Annual Thanksgiving Family Night Dinner for our elders and their loved ones on Tuesday, November 13th. Dinner will begin at 6:00 PM. More details on the invitation below! If you would like to attend, or if you have any questions, please reach out to Brian Owens, our quality of life director by calling (850)638-4654, or emailing browens@shccs.com.